Inscribing a site on the World Heritage List is not the end of the story. Site managers and local authorities continuously need to work towards managing, monitoring and preserving the World Heritage properties. States Parties have an obligation to regularly prepare reports about the state of conservation and the various protection measures put in place at their sites. These reports allow the World Heritage Committee to assess the conditions at the sites and, eventually, to decide on the necessity of adopting specific measures to resolve recurrent problems. One of such measures could be the inscription of a property on the List of World Heritage in Danger. The Periodic Reporting process provides an assessment of the application of the World Heritage Convention by the States Parties. It also provides updated information about the sites to record possible changes in the state of conservation of sites. The Periodic Reports – submitted by the States Parties themselves – are prepared on a regional basis and are examined by the World Heritage Committee on a pre-established schedule based on a six-year cycle. 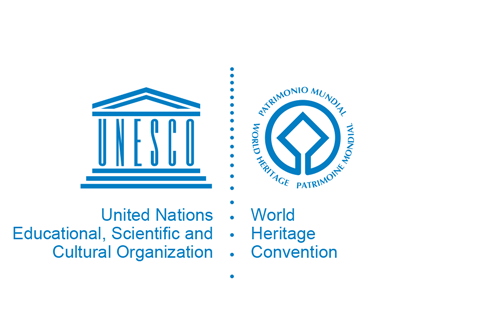 The results are included in the report of the World Heritage Committee to the General Conference of UNESCO. To ensure the efficient implementation of the World Heritage Convention, it is essential that all the actors involved have access to up-to-date knowledge on the application of the Convention and on the state of conservation of World Heritage properties. Discussions on the most appropriate means to establish this up-to-date information were initiated in 1982 and continued since then at the sessions of the World Heritage Committee, the General Assembly of States Parties to the Convention and the General Conference of UNESCO. A consensus was reached in 1997 that States Parties would provide, in accordance with Article 29 of the Convention, periodic reports on the application of the Convention and the state of conservation of World Heritage properties. The World Heritage Committee, at its twenty-second session held in December 1998, adopted a number of decisions with regard to the submission of periodic reports. The Committee agreed on the periodicity of the reporting, the contents of the reports and the manner in which it will handle the States Parties reports. At the same time the Committee adopted the format for the periodic reporting as well as substantive explanatory notes.